STATEN ISLAND -- The holiday season and evening rush hour commute are the times New Brighton Resident Yvonne Cornick dreads commuting back home from work on the ferry the most. It’s the time she has to maneuver her way around tourists taking their time as they try to get over to the side of the ferry that passes the Statue of Liberty, unaware of their surroundings as they take pictures. She said evening rush hour ferry commutes are a “nightmare” because it’s the time of day when you are not only making the dash home with fellow Island commuters, but with tourists too. Cornick said it gets worse during the summertime and holiday season when many tourists are visiting New York City on vacation. On several occasions, she said slow moving tourists have also made her miss her connection bus at the St. George ferry terminal. 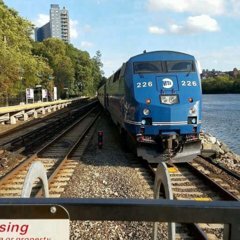 Cornick said she understands that tourists want to experience the ferry and New York City, but wishes the city could find a way to get them to stop interfering with Staten Islanders’ after work rush hour commute. “They’re trying to take in the whole New York experience, but not during rush hour,” Cornick said. Cornick’s solution would be to have tourist board on the lower level boarding area at the Whitehall Terminal during the after work rush hour commute. Island commuters have other ideas too -- like putting the tourists on another boat altogether. But by and large, many Island commuters say a better solution would be to charge tourists to ride the ferry to deter them from going on the boat during rush hour. “[Tourists] really shouldn’t be on here at rush hour, you couldn’t even sit outside if you wanted to,” Island resident Patty Boccio said. “Maybe if they start charging the tourists, maybe they won’t take the boat” another Island commuter, Rachael B. of Annadale, said. Sal Schnnici of St. George said if the city charged tourists even just $2 or $3, he thinks it would make a difference. “It slows down the commute a little bit” Schnnici said of the tourists on the ferry during rush hour. 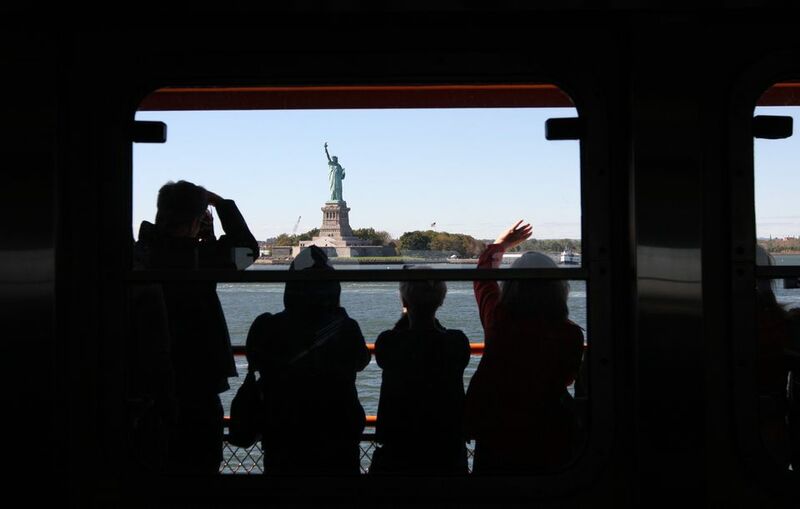 Last year, Mayor Bill de Blasio said he would direct the Office of Management and Budget (OMB) to look into the concept of charging tourists to ride the ferry, after tourists told the Advance they would be willing to pay to ride the free ferry. He called it an “interesting idea” at the time, however, it is unclear whether OMB looked into the concept and where things stand. A spokesperson from the mayor’s office, Seth Stein, told the Advance this week, that the administration is “looking into this proposal,” but had nothing more to say at the moment. A 2014 study from the Independent Budget Office found that a $4 fee for non-borough residents and tourists would generate at least $2.4 million annually. The study factored in 1 million additional riders that are estimated to take the ferry for the Empire Outlets shopping center and the now-embattled New York Wheel coming to the North Shore. According the 2018 Mayor’s Management Report, this year some 24.5 million people rode the Staten Island Ferry, a two percent increase over last year. Meanwhile, the average cost per passenger increased by 23 cents to $5.39. Those double decker tour buses aren't doing the roads any justice either.... Those things should NOT be operating during rush hours. Yes, I think when things settle down on my end, this is something else we're going to examine. It's a quality of life issue that many neighborhoods have brought up. They exacerbate congestion, taking up BOTH bus lanes, park in all sorts of ways, again blocking traffic and there's too many of them. They need to be better regulated. They are KILLING bus service as well. ALso remember even horse-drawn carriage on 59th St, causing delays on buses too. NYCDOT proposed to moved horse-drawn carriage inside Central Park, just 100 feet away from 59th St, but horse-carriage drivers are stubborn. Once I even caught horse-drawn carriage dropping off/picking up at authorized M5/M7/Big Bus Tour stop. It seems like only NY CitySight and Big Bus Tour operates. Maybe NY CitySight took over grayline operation? It not just tourists. Some folks who regulate visit New York sometimes walk slow too. This Saturday-Sunday during Openhouse New York weekend will be chaotic.